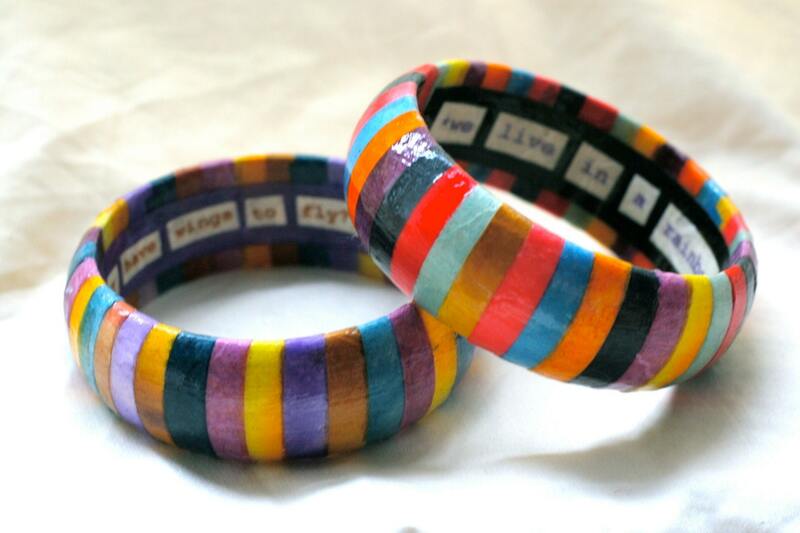 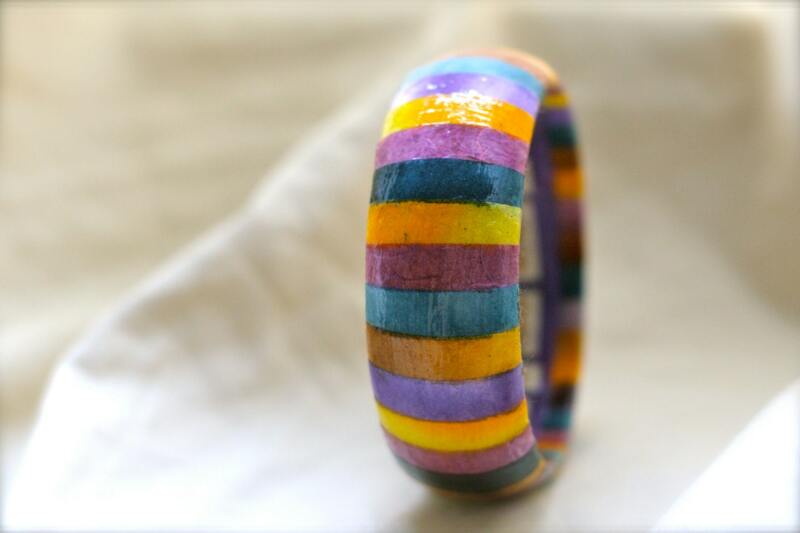 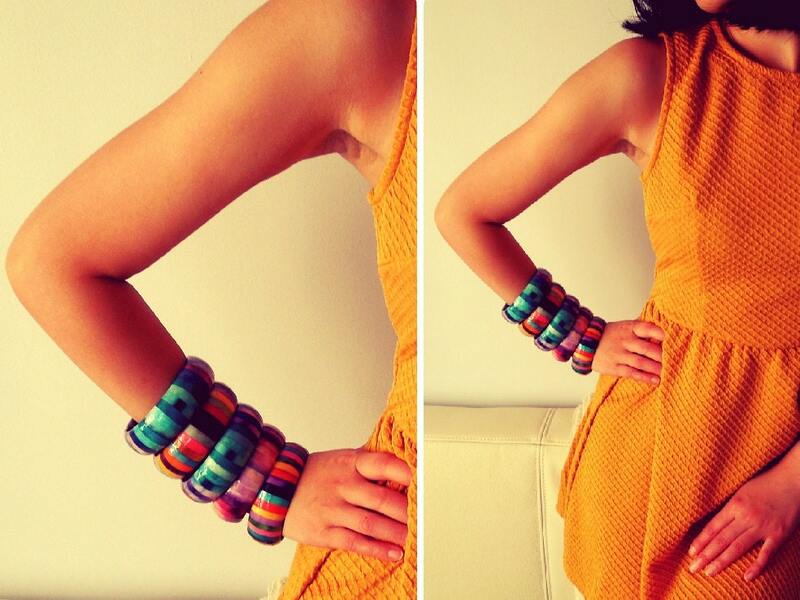 Purple striped bangle, made from Japanese paper over wood. 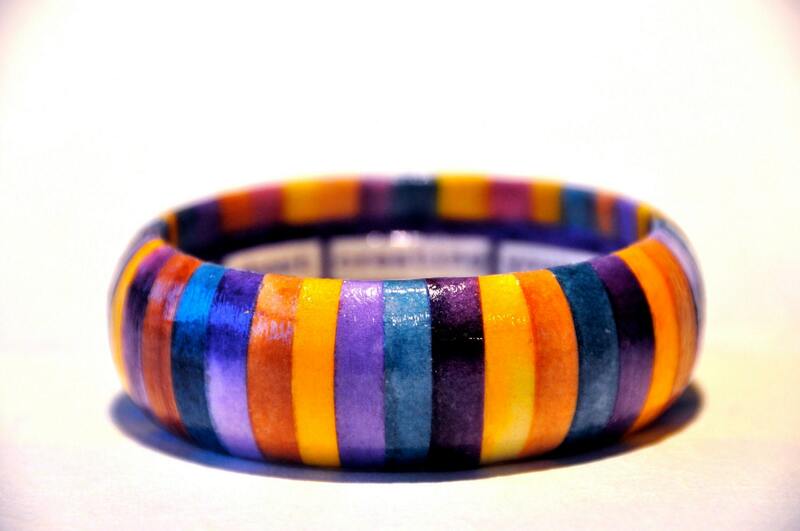 Resin applied for water-resistance. 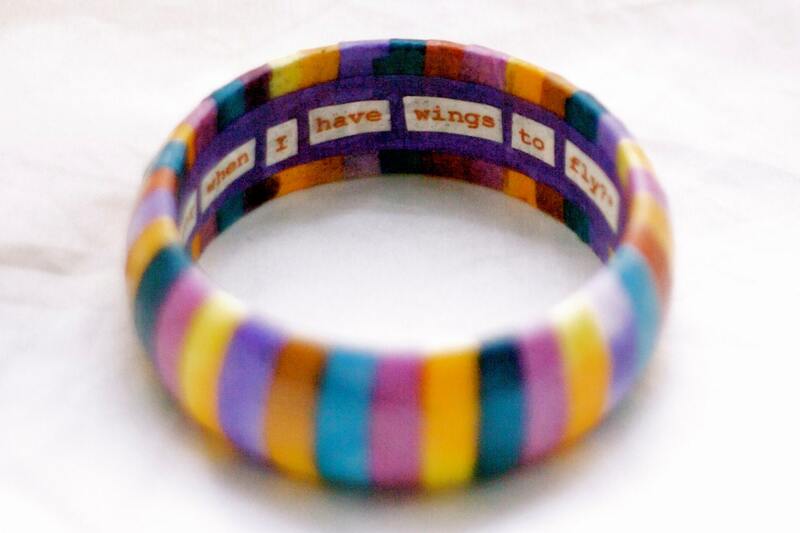 If no instructions are included for a customized quote or message, this bangle will come to you as pictured, with the quote, "Feet, what do I need you for when I have wings to fly?"